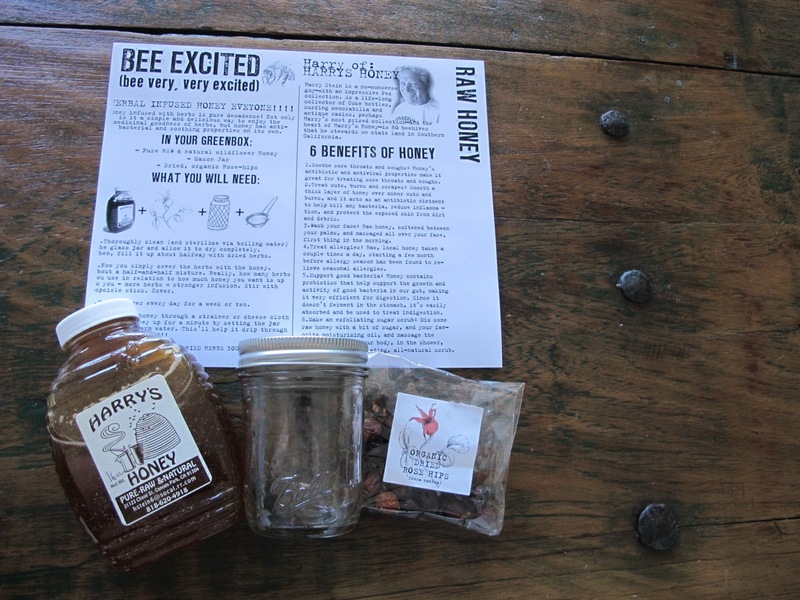 I have finally found the perfect gift for the person in your life who has everything (assuming they don’t have a kit to make rose hip infused raw honey.) I was very lucky to receive a delivery of the Homegrown Collective Green Box from a friend. 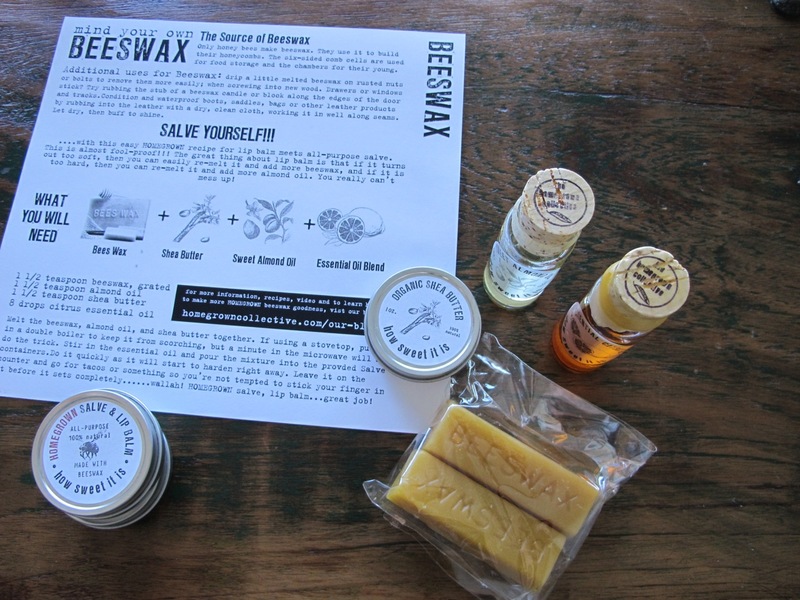 The motto of the company is “delivering a homegrown lifestyle to your doorstep each month.” Each monthly box contains all the the supplies to make your own green products and step by step instructions for easy and informed execution. Great for Eco-conscious families, curious kids and busy professionals who don’t have time to make their own Kombucha starter. 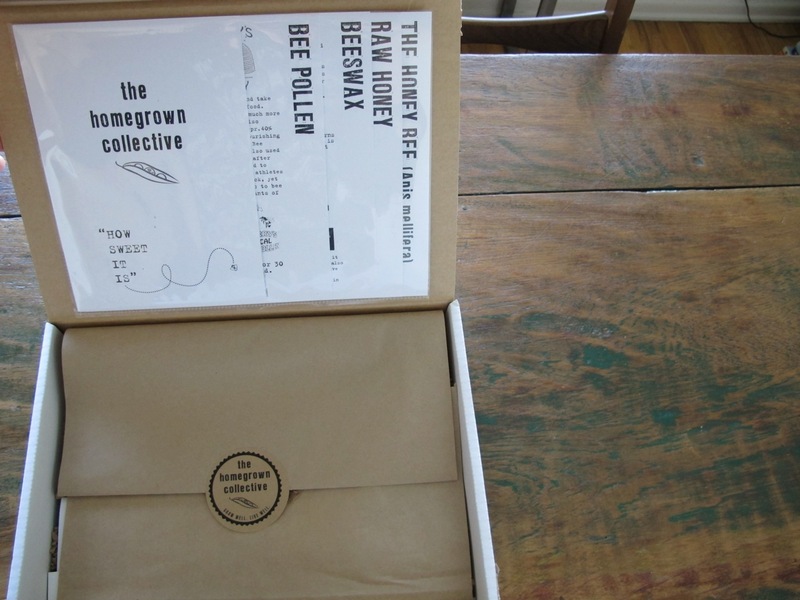 The packaging and literature are artfully crafted. 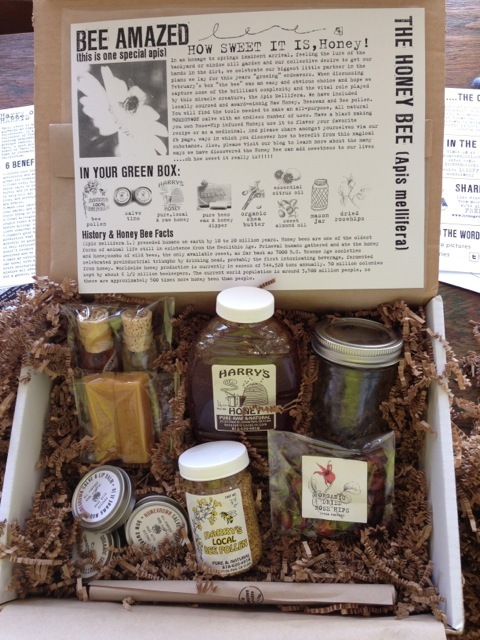 Each box has a different theme, the one I received was called “How Sweet It Is”, with projects, food stuffs and recipes featuring all things honey bee related. 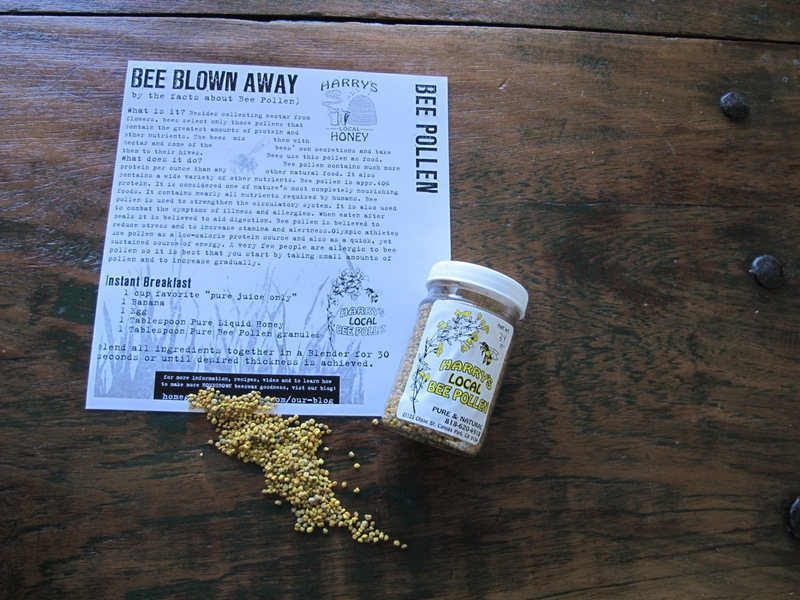 Honey, Bee Pollen and Bee’s Wax oh my. All the supplies to make shea butter and beeswax lip balms flavored with almond and citrus oil. Local raw honey and rose hips to infuse the honey in the provided mason jar. Delicious and nutritious bee pollen and a recipe for a protein packed vegetarian smoothie. A single box costs $39 + shipping and there are discounts for 3, 6 and 12 month subscriptions. Don’t you love this concept?